Are you ready to meet the most versatile bag known to woman? 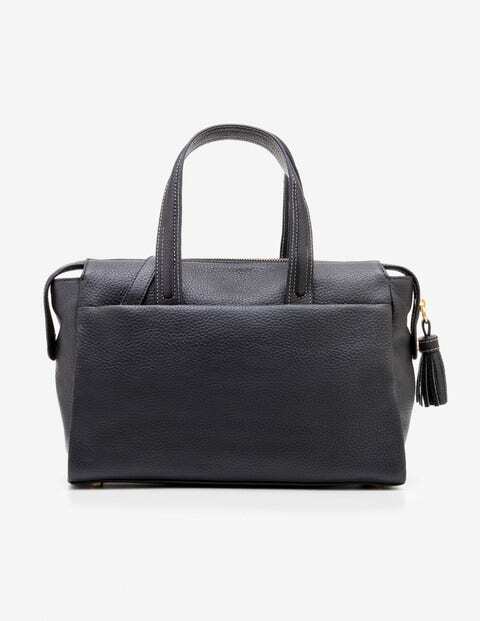 This soft, leather number has a detachable strap so you can choose how to wear it. The main zipped compartment has a statement spot lining, zippy pocket and quick-draw holsters for your phone and cards, and you’ve got two outer compartments that pop closed with a magnet. Top that all off with bright colours and a chunky tassel on the zip and we think you’ll see why we’re VERY excited about this one.